A video that surfaced on social media made most of us wonder whether we belong to the ‘indoor generation’ or not. To our surprise…not… most of us DO belong to this generation. Ironically, for a generation who is concerned about its well-being than any before is most likely the cause of their declining health. Anything that our generation does whether it be hitting the gym, commuting to the office, watching television for entertainment, the use of technology is all happening behind closed doors. Not only that, the concept of letting sunlight in your house, taking a walk in the park, socialising outside has vanished into thin air. 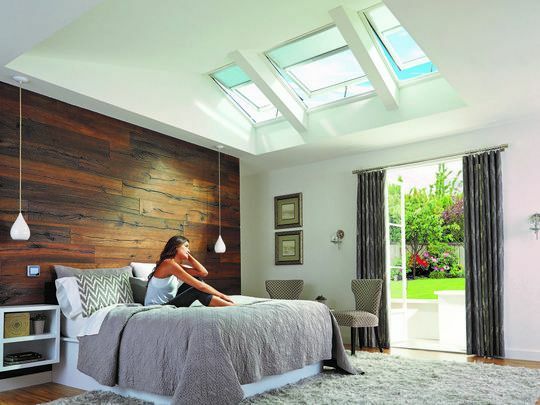 In fact, a recent report by VELUX backed by data from YouGov, an international market research and data analytics firm, highlights some startling statistics about “the Indoor Generation” — and how the inclination to stay inside affects health and happiness. Moreover, it stated that on average, people spend about 90% of their day indoors. The YouGov survey was compiled by interviewing approximately 16,000 members of the general public in 14 countries across Europe and North America. The video talked about the negative effects staying indoors can have on our health. For example, children who spend more time indoors will be more susceptible to asthma, allergies and other breathing issues over time. We already knew the link between limited fresh air and daylight, and the negative impact that can have on our mood, as well as the effect unhealthy indoor environments can have on our respiratory system, but what might come as a shock is the estimation that the air inside buildings can be up to five times more polluted than the air outdoors, even in large cities. Which means your office, child’s school, and your home are all ‘probably polluted’. Moreover, electric light and digital devices have disrupted the natural cycles of light and dark, meaning where once the onset of darkness was trigger enough for our bodies to prepare for rest, the artificial light makes it harder ­– which is why so many of us now have problems with regular sleeping patterns. Quite simply, we’re not getting anywhere near as much natural light for our visual systems as we need for our circadian system. The more daylight you get, the better you’ll sleep at night. So for a better health and a healthier home, it’s about time we start considering opening the windows three to four times a day, not burning candles, cleaning your house regularly and letting the sunlight in.